Manipulated drugs are a million dollar business for counterfeiters. Which drugs are particularly popular with criminals – and how consumers should be protected. Counterfeiting of a drug for breathing problems, manipulation of a drug for hepatitis C viruses and stomach diseases, illegal Viagra potency pills, the customs authorities at the border go online: Criminals try again and again to bring drug counterfeiting in the German pharmaceutical trade. On the black market gangs make lucrative business: The profit margins there are sometimes larger than in the drug trade with cocaine or heroin. Now, new hurdles are to make practices more difficult. On February 9, 2019, a new protection system will be launched in Europe, which prescribes safety features for medicines. Prescription drugs must then carry a barcode on the packaging, which can be checked by a scan in the pharmacy authenticity, as the Federal Institute for Drugs and Medical Devices (BfArM) explains. In addition, an opening protection such as a seal label should guarantee that boxes have not been opened or pills have been repackaged. The Counterfeiting Directive goes back to an EU regulation of 2011. Every year more than 750 million packages of prescription medicines are issued in public pharmacies in Germany. The number of counterfeits in the legal supply chain from the manufacturer via wholesalers to pharmacies is low, explained the BfArM. In 2018, fewer than ten suspected cases were reported. Of these, however, could be affected in each case a number of packs, also remain a dark figure. The intake of counterfeit medicine could have “serious health effects,” warns the authority. Manipulated drugs and compositions, but also indications of origin. “Most of the counterfeits were original products that were illegally repackaged or original goods from thefts, which were returned to the legal distribution chain,” explains Maik Pommer, spokesman for the BfArM. The problem is much greater with manipulations in the illegal trade, for example on the Internet or with smuggled goods. At the worldwide Operation Pangea 2018, customs and police authorities in Germany withdrew about 1,200 parcels and correspondence within a week. 100,000 tablets, capsules and ampoules went online, including prohibited supplements and painkillers. Especially popular with criminals: Potency. With one kilogram can be achieved on the black market between 90,000 and 100,000 euros, estimated the Federal Criminal Police Office. For heroin, it is 50,000 euros. In addition, illegally traded Viagawa active ingredient cost only 60 euros per kilo, while for the heroin raw material about 7,000 euros would be due. Counterfeiting is painful for the pharmaceutical industry. In the EU, the industry thus lost around 10 billion euros in revenue per year, said the European Union Intellectual Property Office in 2016. Of this, a good one billion went to German manufacturers. Added to this is the damage to the image of companies created by criminals. However, the Federal Republic of Germany is hardly affected by drug counterfeiting worldwide – also because the pharmaceutical industry is tightly regulated here. Only officially approved drugs are placed on the market, and production, distribution and use are also monitored, emphasizes the Federal Association of the Pharmaceutical Industry (BPI). In addition, drug manufacturers have already used security features such as holograms or micro-writings on drug packages. In the future, however, an alarm in the pharmacy should automatically start if there is a manipulation: The authenticity check in Germany has been established by the association Securpharm, an association of pharmaceutical and pharmacist associations. Each pack has an individual serial number, which is fed into the system. With the scan of the codes can be checked in the Europe-wide database, whether the number was awarded by a manufacturer or possibly a pack with the same number already went over the counter. For the industry, it is a mammoth project: 19,345 pharmacies, 346 pharmaceutical companies, 887 wholesalers and 406 hospital pharmacies in Germany are connected to the system according to Securpharm. 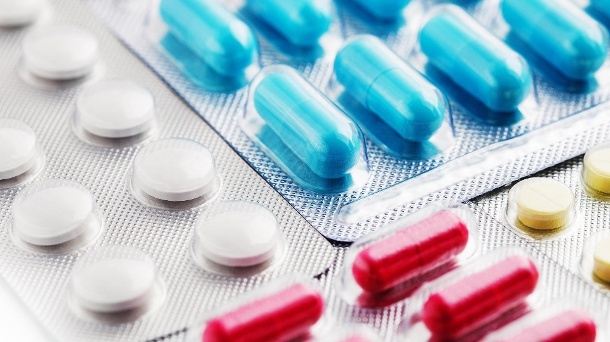 “The implementation of the anti-counterfeiting directive is one of the largest infrastructure projects for the supply of medicines in Europe,” explains the association. The pharmaceutical association BPI estimates the investments alone in the companies to more than one billion euros. This benefits consumers. If the pack scan in the pharmacy indicates suspected cases, you will receive another box of the drug. And in the Europe-wide system, it can be traced where counterfeit funds entered the legal supply chain, Securpharm explains. Stolen medicine is then blocked.